This nature area combines North Shore Preserve, Hermann Preserve, and Melrose Township parkland. The Conservancy and eight donor families purchased the North Shore Preserve to protect it from logging and because it supports natural springs and ground-water recharge areas important for water quality. Melrose Township owns the land to the north and west, with more trails to explore. 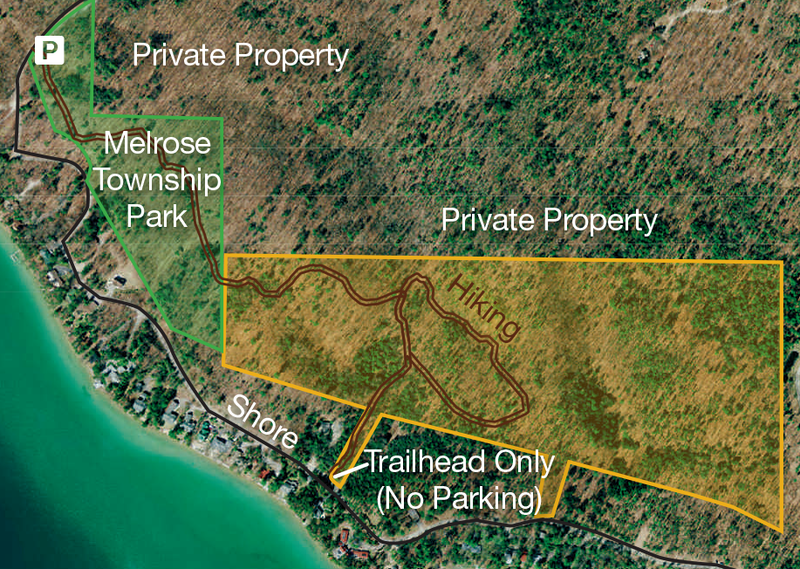 WLTC and Melrose Township share access to this land from a parking area along North Shore Drive, just north of Whitfield Way, on the east side of the road.